South Korea - 2017/04/30 - The 23rd WTF World Taekwondo Championships will kick off for a seven-day run on June 24. The tournament, to be held in Muju, southwest Korea, is expected to be the biggest and best edition of the world championships ever. The World Taekwondo Championships is the most prestigious event on the global taekwondo calendar after the Olympics Games. However, the seven-day carnival of kicks is a bigger event than the four-day Olympic taekwondo competition. It features a larger number of athletes and nations in attendance, as it boasts twice as many weight categories (16 in total; eight female, eight male) as the Olympics (four female, four male). Muju 2017 is where the world’s top taekwondo stars will gather to do battle, 10 months after the 2016 Rio Olympics. It is a critical tourney: It forms the start point for any aspiring taekwondo athlete’s road to Tokyo 2020. The gold medal winners in each of the 16 weight categories win 120 ranking points. Silver winners get 72 points while bronze medalists get 43.20. These make up the largest collections of ranking points following the Olympics, where 200 points are won by the gold medalists, 120 by the silver medalists and 72 by the bronze medalists. Even if a fighter is a relative unknown, a victory in Muju can provide the springboard to stardom. It will lead to invitations to the elite Grand Prix series – a series of four invitational tourneys held worldwide in the second half of every year – which offer valuable ranking points and the highest level of regular, international competitive experience. Muju will also be welcoming some very high profile VIPs. The closing ceremony will be graced by the presence of IOC President Thomas Bach. Welcome to Taekwondowon, Welcome to Muju, Welcome to Korea! The Muju Organizing Committee, or OC, is expecting to welcome some 1,000 athletes from 170 countries. If this number is reached, it will be the largest number of participants in history. In the last world championships, held in Chelyabinsk, Russia, in 2015, there were 872 athletes from 139 countries. The venue is Taekwondowon, a purpose-built training and competition complex built in the rolling foothills of the Muju Valley. Completed in 2014, Taekwondowon is a Mecca for any taekwondo player, practitioner or fan. Muju itself, in Korea’s southwest is a valley featuring scenic countryside and some of Korea’s finest and most pungent cuisine, and is home to a winter sports complex as well as Taekwondowon. 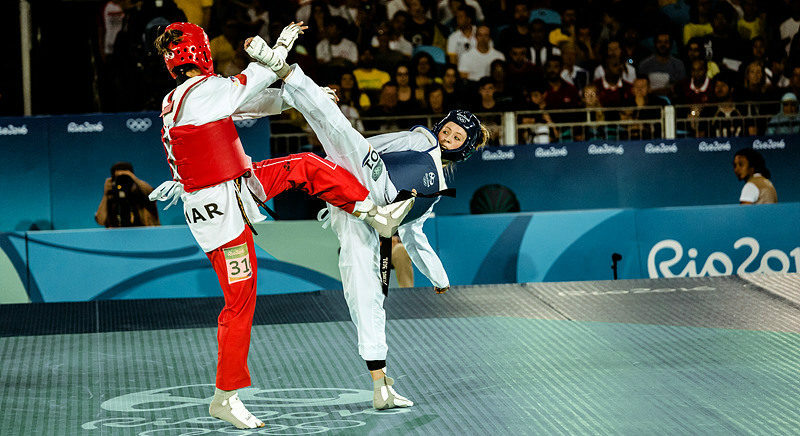 South Korea, where the sport of taekwondo originated, has hosted the world championships six times. 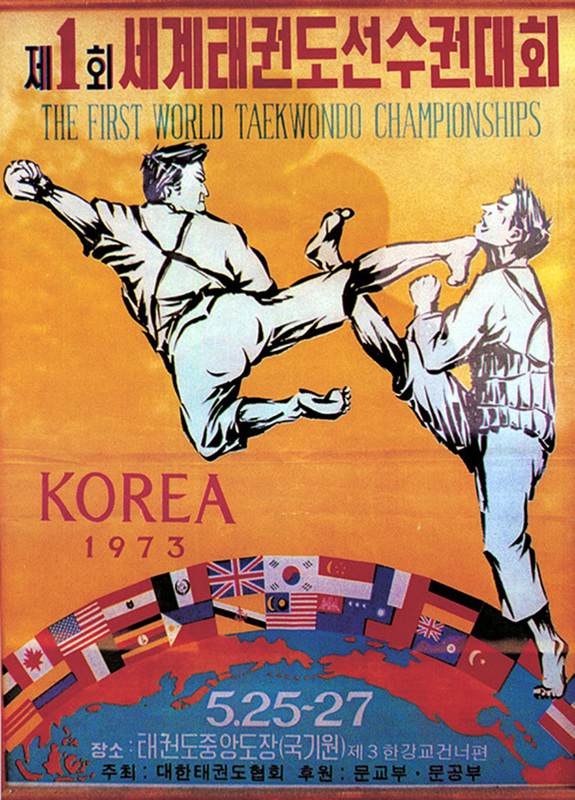 The 1st, 2nd, 7th and 9th editions of the championships were all held in Seoul – in 1973, 1975, 1985 and 1989 respectively. 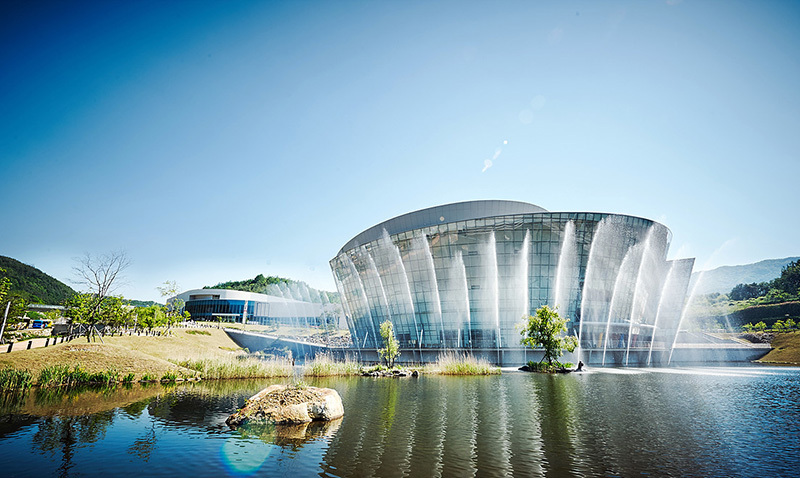 In 2001 the 15thedition was held in Jeju Island, and in 2011, 20th edition was held in Gyeongju. In addition to the championships, a WTF Council meeting will be held at Taekwondowon on June 22. The votes for candidates for the WTF’s leadership over the next four years will be cast at the WTF General Assembly the day prior to the championships, on June 23. Also taking place on the sidelines of the championships will be the 6th International Symposium for Taekwondo Studies, which takes place on June 29. Muju 2017 will be the “coming out” party for the WTF’s new rules, which were amended after an exhaustive consultative process in the months following the 2016 Rio Olympics. Although the new rules have been in place since January 1 2017, and were first applied that month at the US Open, they are still new to players, and will be a key variable for established players. Fighters who have taken a break from the game since Rio and not competed under the new rules in the first half of 2017 may find themselves at a disadvantage in Muju. The changes to the rules include awards of 2 points, instead of 1, for body kicks. This is designed to assist smaller players take on the lanky “tall-kwondo” players who are starting to dominate the sport. Moreover, half-point penalties, or kyungos, have been eliminated: for the sake of simplicity, and given the added points for body kicks, there are now only single point penalties, or gamjeoms. This means that bouts will be higher scoring, but will also include higher penalty risks. Another change is penalizing fighters who constantly raise their leg without kicking, which makes for a dull spectacle and has led to a front-leg “foot fencing” style of taekwondo which has turned off crowds, pundits and the world taekwondo family alike. The aim of the new rules is to make for more free-flowing, spectacular, offensive and higher scoring matches. Early indications are that the new rules are achieving this aim.